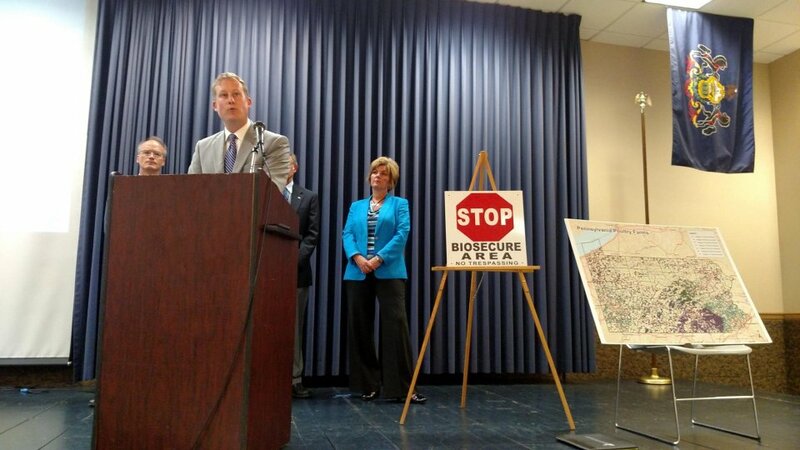 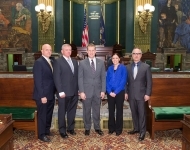 September 8, 2015 – Senator Aument discussed efforts to prevent the spread of highly pathogenic Avian Influenza during a recent information session hosted by PennAg Industries Association. 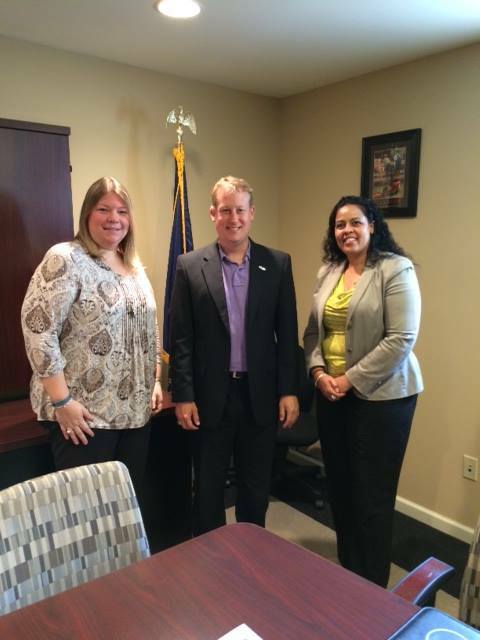 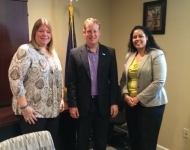 June 5, 2015 – Senator Aument met with Tricia Nabors of New Choices and Amanda Funk of New Beginnings to learn more about the critical services both programs provide to help women in transition to achieve self-sufficiency. 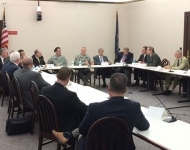 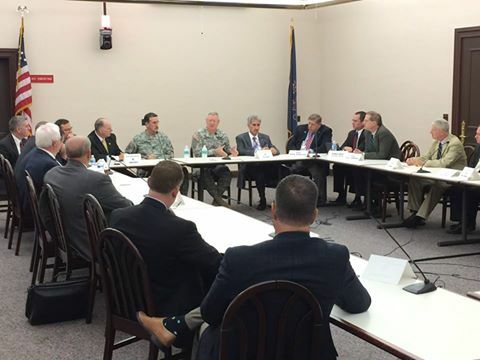 October 8, 2015 – During a hearing of the Senate Veterans Affairs and Emergency Preparedness Committee, General Frank Grass, Chief of the National Guard Bureau, and Adjutant General (Major General) James Joseph shared their perspectives on issues facing the Pennsylvania National Guard. 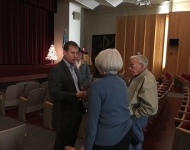 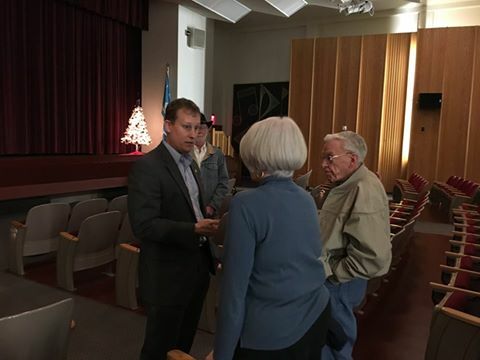 December 2, 2015 – Senator Aument speaks with community residents during a town hall event at Masonic Village in Elizabethtown. 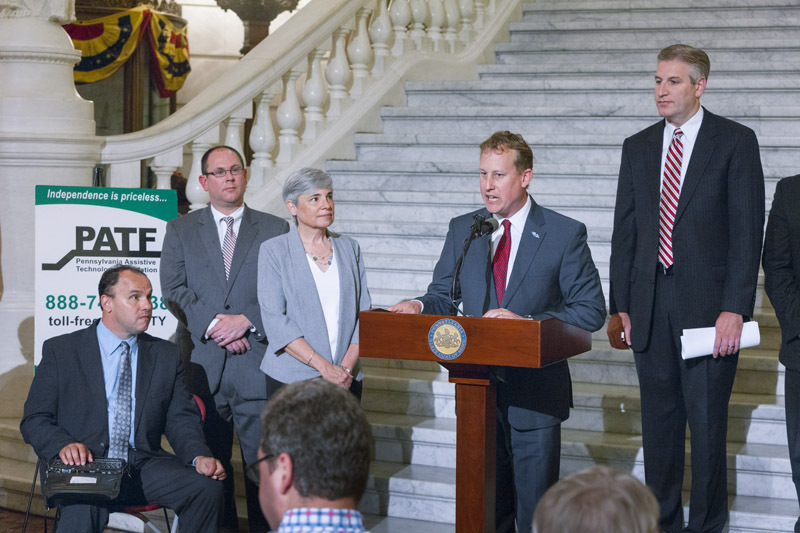 November 18, 2015 – Senator Aument welcomed Live Nation General Manager Curt Voss, Live Nation Director of Production John Stevenson, Rock Lititz Manager Andrea Shirk, and Live Nation Regional President Geoff Gordon to the Capitol Building in Harrisburg. 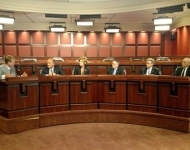 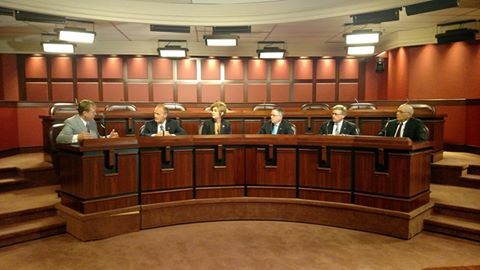 September 21, 2015 – Members of Lancaster County’s delegation to the General Assembly met to discuss numerous issues of importance to local communities. 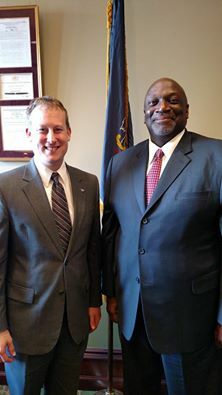 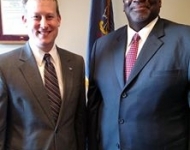 March 9, 2015 – Senator Aument speaks with PA Inspector General Grayling Williams about legislative efforts to improve his office’s ability to eliminate fraud and abuse. 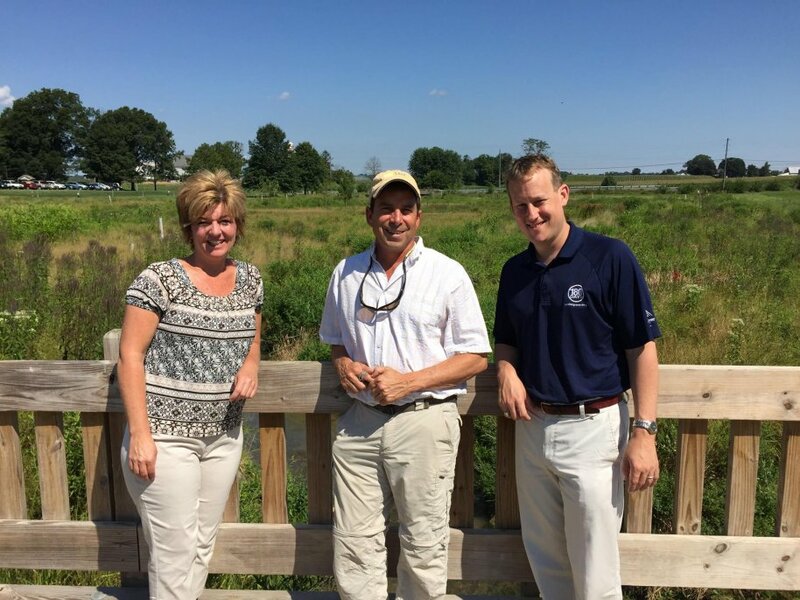 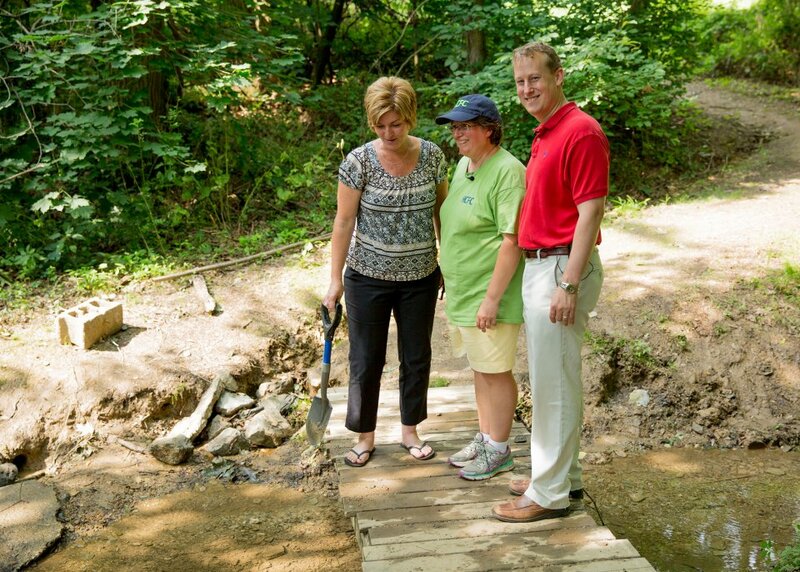 August 5, 2015 – Senator Aument joined Rep. Mindy Fee and LandStudies founder Mark Gutshall for a tour of Lancaster County healthy watershed projects. 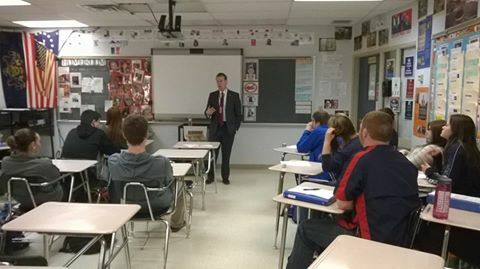 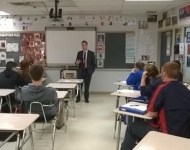 March 19, 2015 – Students from Mr. Huesken's 12th grade Government and Economics class at Elizabethtown High School engaged in a thoughtful discussion of state issues during a visit by Senator Aument. 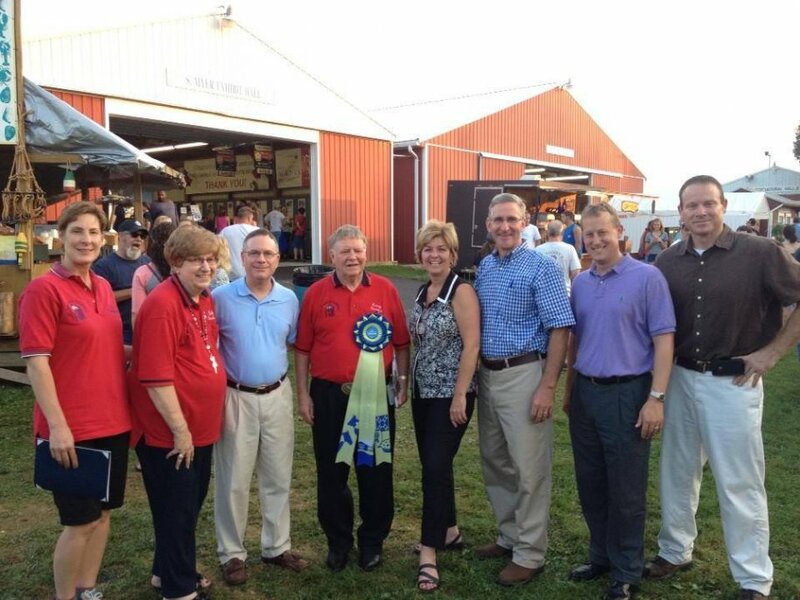 August 27, 2015 – Senator Aument met a number of local residents during a visit to the Elizabethtown Fair. 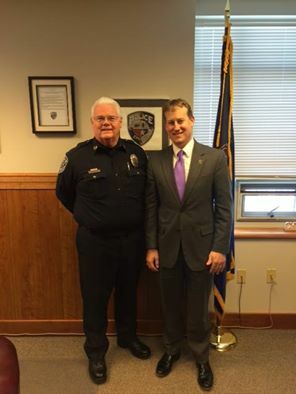 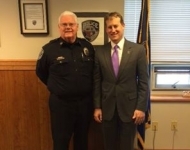 February 19, 2015 – Senator Aument speaks with Ephrata Police Chief William Harvey about local efforts to promote public safety. 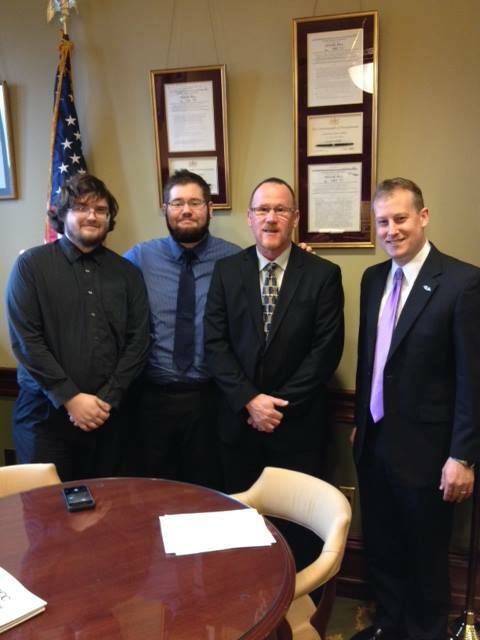 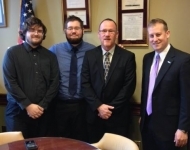 April 13, 2015 – During the Pennsylvania Commission for Community Colleges’ annual lobbying day at the state Capitol, Senator Aument met with several students from the Lancaster campus of the Harrisburg Area Community College. 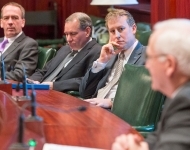 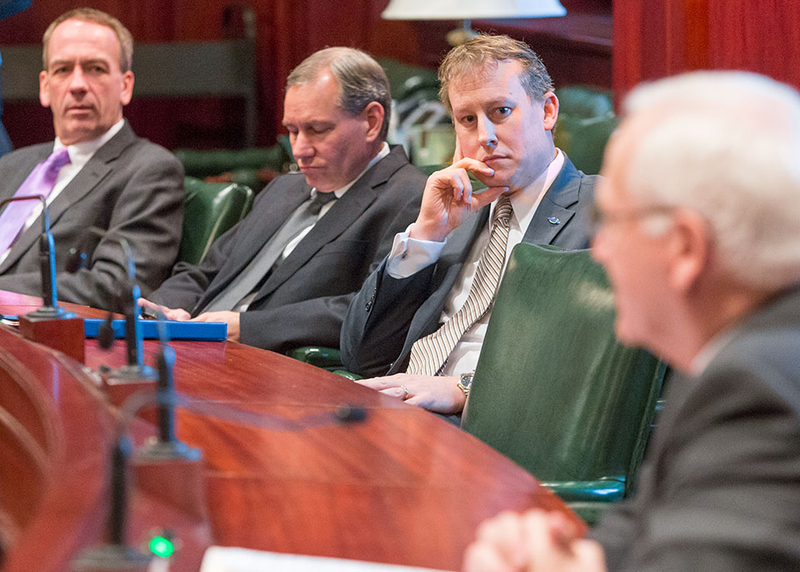 January 27, 2015 - Senator Aument recently took part in the first meeting of the Senate Coal Caucus, which is designed to explore ways to promote domestic energy production. 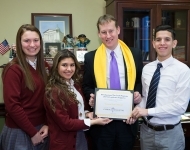 January 29, 2015 - Students from Lancaster Catholic High School recently visited Senator Aument at the Capitol to present him with a certificate for his support of the EITC scholarship program. 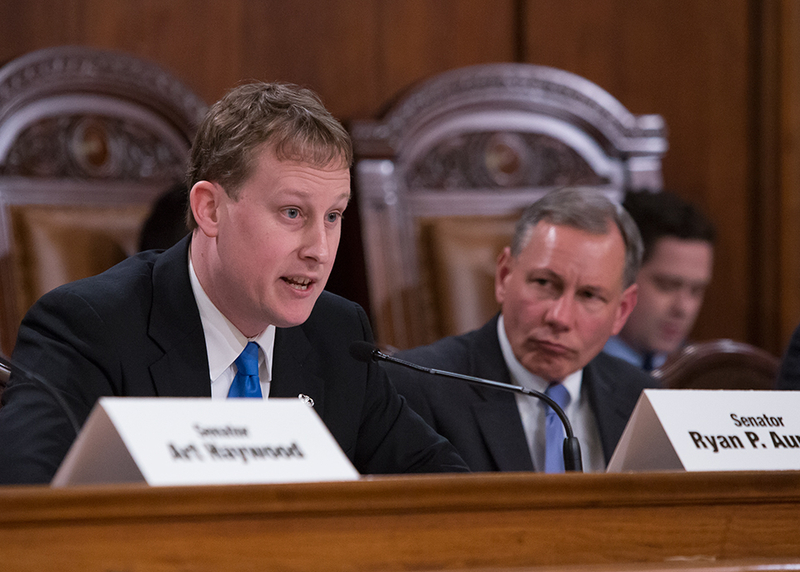 February 4, 2015 - During a hearing of the Senate Finance Committee, Senator Aument spoke about the importance of the General Assembly having the power to set the requirements for an organization to qualify as a purely public charity. 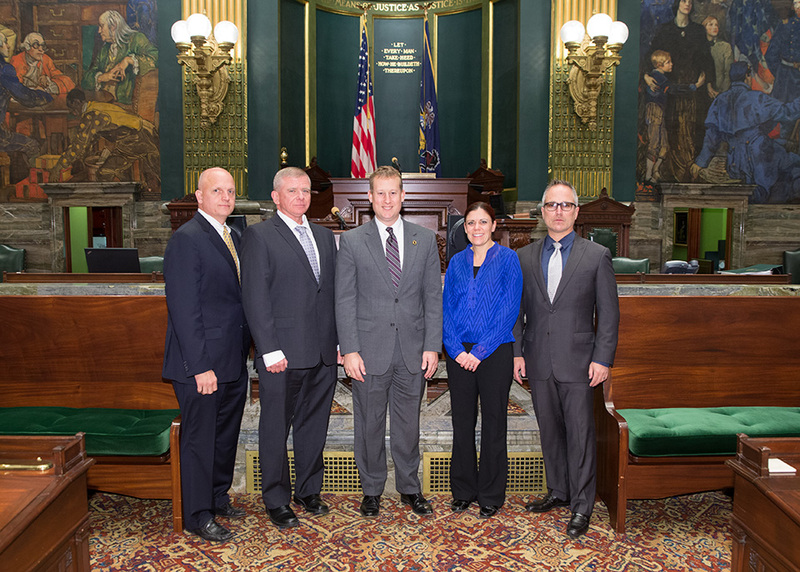 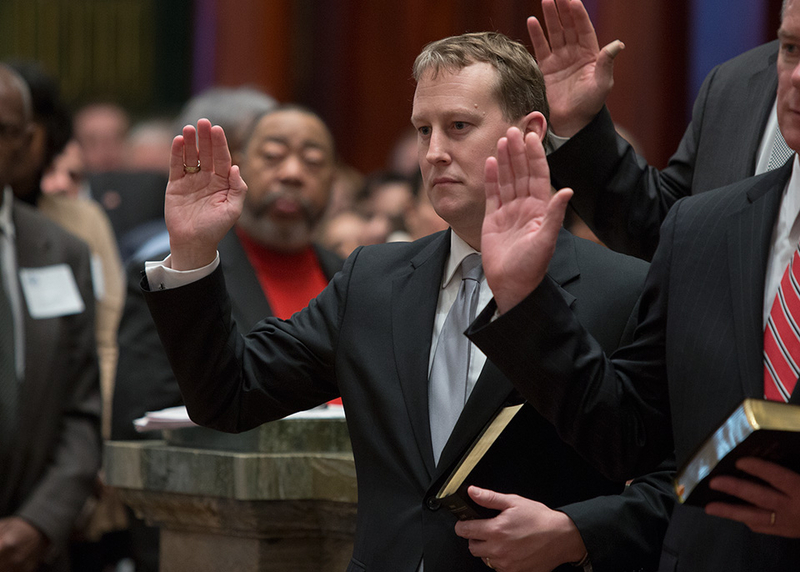 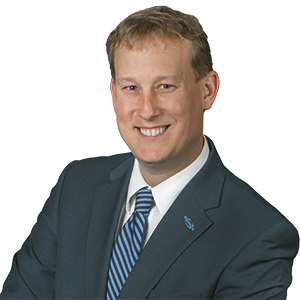 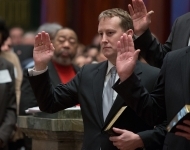 January 6, 2015 - Senator Ryan P. Aument (R-36) was sworn in today to begin his first term serving northern Lancaster County residents in the Pennsylvania Senate. 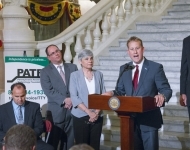 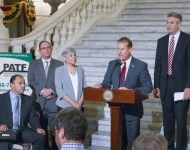 June 2, 2015 -- Senator Aument speaks in support of the Pennsylvania Assistive Technology Fund (PATF) during a rally at the state Capitol. 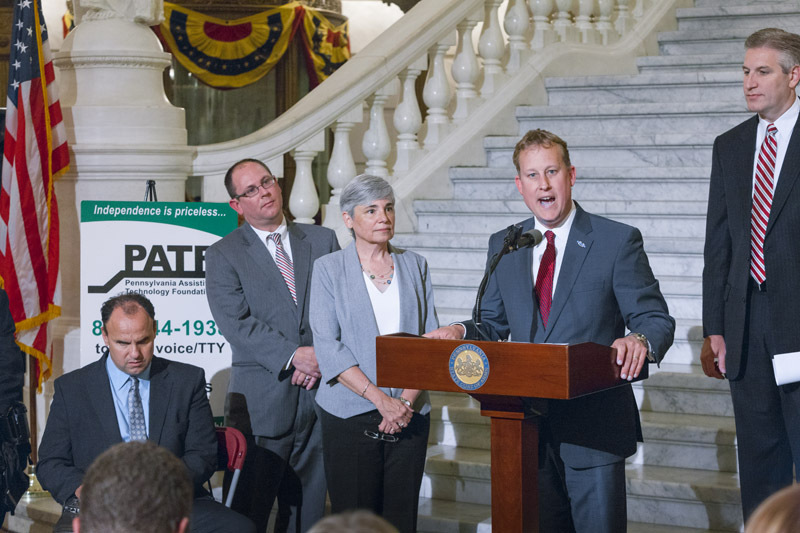 In the past 18 months, PATF has extended 17 loans to people with disabilities who live in Lancaster County for devices such as hearing aids, adapted vehicles, stair lifts, power wheelchair batteries and home modifications. 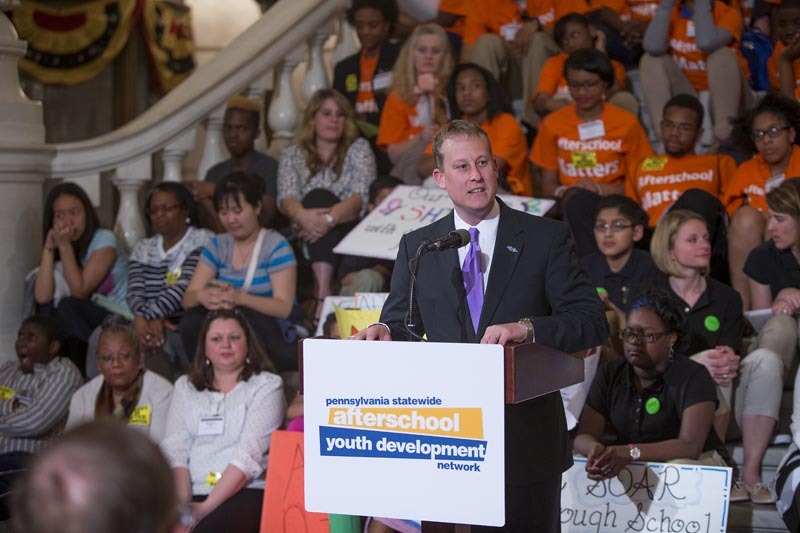 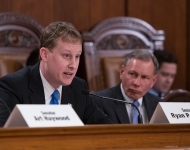 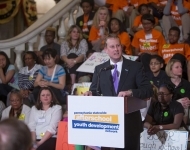 May 5, 2015 – Senator Aument speaks at an event to announce the creation of the Afterschool Caucus, which is designed to highlight the importance of afterschool and out-of-school time youth development. 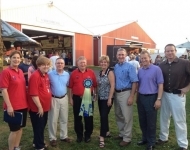 July 13, 2015 – Senator Aument and members of the Afterschool Caucus tour Heritage Creek Farm Camp in Mount Joy. April 9, 2015 – Centerville Middle School student Holly Hallman earned statewide recognition for her entry in the Pennsylvania Liquor Control Board’s Alcohol Awareness Poster Contest. 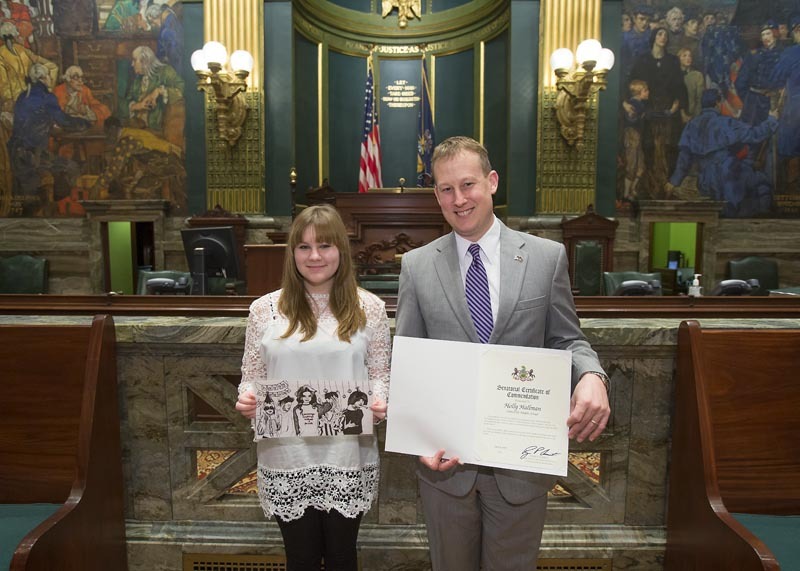 Senator Aument presented her with a Senate Citation for her accomplishment. 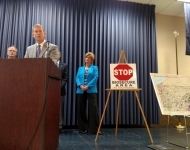 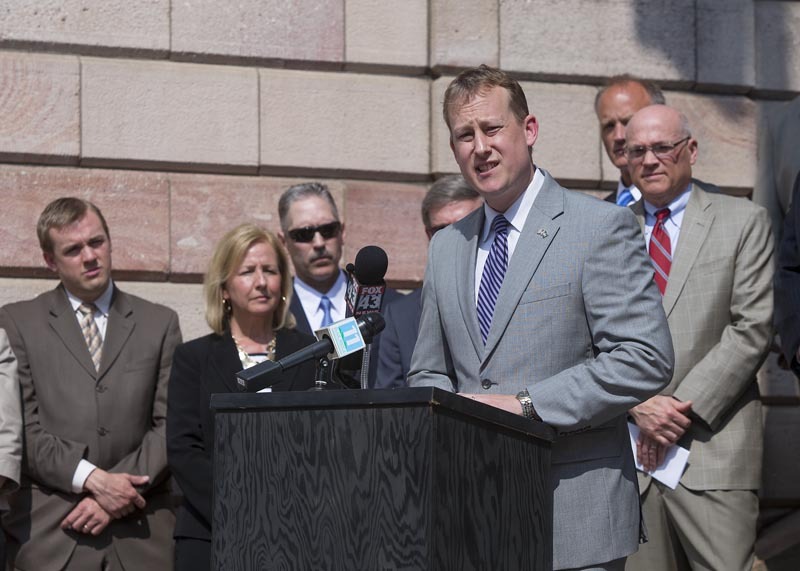 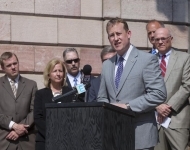 May 8, 2015 – Lancaster County lawmakers held a press conference to announce a package of bills to ensure criminals face strict sentences for violent crimes.